Gold Corium Straps is a luxury bespoke leather guitar strap company from Toronto, Canada. They believe that a guitar strap should be as beautiful as the guitar it’s holding. Not just functional, it’s about style. This is why Gold Corium Straps focus on high-end products for the fashionable guitar player. Every strap is untouched by machine; meticulously made by hand with the finest precision. Every design is a unique Gold Corium creation. But what we offer is more than a product, it’s also a service. We can tailor the guitar straps to represent your artist image with options of pattern shape, finish, ornaments, hardware, and detailing. Pricing rangers from $190. up. 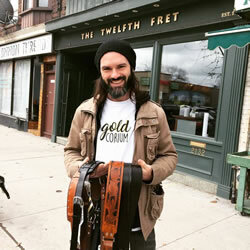 The Twelfth Fret is excited to represent this Toronto based company and it’s fine line of straps. Drop in and check them out. 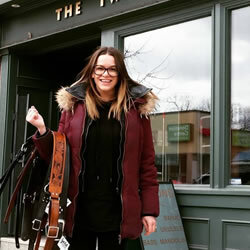 The Gold Corium Strap company is headed up by a couple, working from their humble Toronto home in the Annex. Meet Anika Boulanger, owner, designer and creator. She is the creative power behind Gold Corium’s handmade items. Anika has been perfecting her leatherwork for years, working mainly with vegetable tan leather as a blank canvas with limitless potential for her inspiration. Meet Francois Martin, the Marketer, Photographer and customer service aspect of Gold Corium. Francois Martin has a Marketing degree from Université Laval and manages inside sales for a major musical instruments manufacturer. 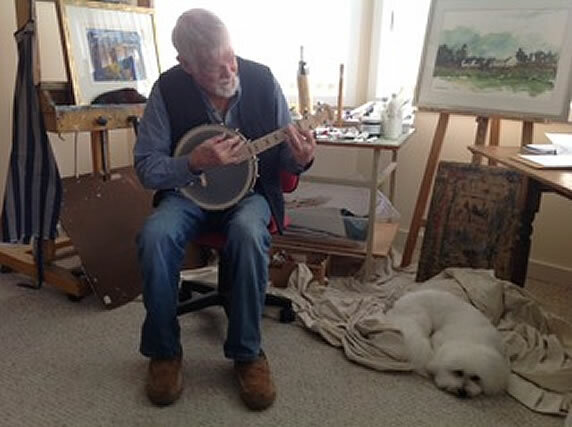 He’s also been playing guitar for over 20 years and has an eye for quality and stylish music gear. They make hand make leather guitar straps and accessories for the fashionable client. Original Gold Corium Straps designs are produced in Toronto, Canada and untouched by machine.